We’re SmileDirectClub, and we believe everyone deserves a smile they’ll love. We also believe that you deserve a job you’ll love. Good thing you found us, and we found you. At SmileDirectClub, we’re all about empowering transformation. We want people to become more confident in how they look, how they feel, and how they think. So we’re spreading smiles and positivity all over the country. It’s no small task. That’s why we’re looking for energetic, passionate, and confident team members who can help turn frowns into life-changing grins. Are you up for it? SmileDirectClub is seeking a C# / .Net Senior Software Engineer to join a fast-paced dynamic engineering team working on turning a large monolith into a suite of domain-driven microservices. Knowledge of C#, .Net Core 2.0 and .Net Standard will allow you to create versatile microservices that cater to every facet of the SmileDirectClub business. In joining SmileDirectClub, you will be part of a team that values high performance, open communication, and collaboration! Clear and concise communication skills. Written and verbal. Mentor and support a team of passionate technical professionals fostering a high-performance culture. Cloud experience preferably in Amazon Web Services or Azure. Understanding of SDLC and Agile development methodologies. Experience with Git, Continuous Integration and Continuous Delivery mechanisms. RDBMS experience; Postgres, MySQL, SQL Server, Oracle. Understanding of multithreaded and concurrent programming techniques. 5+ years as a .Net focused software engineer. Bachelor’s degree preferred or relevant experience. SmileDirectClub was founded on a simple belief: everyone deserves a smile they love. The Company is the first digital brand for straightening your smile, created after the realization that recent trends in 3D printing and telehealth could bring about disruptive change to the invisible aligner market by matching licensed professionals, a quality clear-aligner product, and customers together. By leveraging proprietary, cutting-edge technology, SmileDirectClub, LLC-affiliated dentists are providing greater access of care to consumers who couldn’t otherwise afford orthodontic treatment to get a better smile. 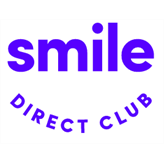 Want to get notified about new jobs at SmileDirectClub?